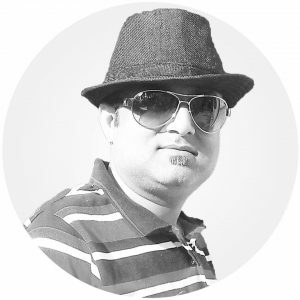 Currently I am working as [ CTO ] Creative Director of Kevaura, LLC, CA, USA, Founder @ BlinkedIn™LIVE. I love to engage myself with website design ​and development, custom web​ and mobile app development, photography, travel to the mountain of Sikkim, real estate related services. In the service industry for nearly ​two decades, I have managed 100s of National and International clients for improving their branding, promotion, business strategy, better web presence, marketing automation, etc with my creative ideas and services, remotely. Sand created a website and some graphic designs for me. Sand worked very efficiently, with great detail and completeness. The work was produced ahead of time originally allocated and I am very pleased with the results. Very easy communications utilising all the latest comms technology. I have been working with Sand for 6+ years. He has completed hundreds of projects for me in that time. He is an expert at what he does, completes projects quickly and on time. He is a complete Virtual IT support department including graphic design and website design. Sand is good at trouble-shooting and finding solutions that will manage or solve your IT problems. He takes direction well and produces his work quickly and error free. I highly recommend him for anyone with a web design or graphic design project.